I recently participated in a Twitter Author Pitch Event called Pitch Slam. Created by L. L. McKinney, or @Tangynt, as she is known on Twitter, this event allowed writers to pitch their completed, polished manuscripts as a polished 35 word pitch, followed by the first 250 words of the manuscript, culminating in the final round of submissions with both components. I loved every minute of it, even though I was not selected to move forward to the final round. The reason these components were spaced out over days was to allow the Managers and Talent Scouts time to provide feedback to the writer, and for the writer to REVISE and RESUBMIT in the final round. This feedback proved to be a great opportunity to learn from the process of submission, by being given a "second chance" to receive feedback specific to our writing, and choose whether to apply those suggestions before the final submission round. Next, the Managers vetted these submissions into 10 12 final selections, and posted the best of the best for the agent round, where agents combed through the vetted submissions and requested partials and fulls as if they were record labels. The theme was "Battle of the Bands," and had an American Idol feel to the competition. Pitch Slam was an amazing experience and I'm so glad I decided to participate. Each day of the contest had new hashtags where writers could share first lines, last lines, cool parts, playlists, favorite songs, songs the MC or other characters listened to, and even songs the writer likes. The camaraderie and connectedness many writers felt throughout this competition, led many of us to follow each other, form new friendships, and seek ways to stay connected. Hence, the birth of the REBEL group, Pitch Slam Writers. 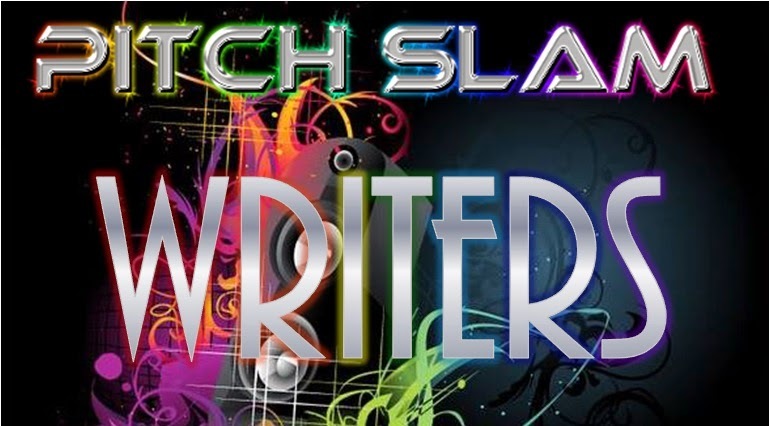 This post is designed to announce the purpose of Pitch Slam Writers, and to provide first details of what will happen among members of Pitch Slam Writers, for those who choose to join this rebel group and participate in new and upcoming writer challenges. 1. To provide a way for writers to stay connected and utilize the bonds of friendship to critique, beta read, follow each other on social media platforms, and provide feedback on fellow writers' materials (MSS, Queries, Prompts, etc.). 2. To strive to improve oneself as a writer, by engaging with other writers in a positive, yet constructive feedback environment. We all know writing can feel like an island at times, but it doesn't have to isolate you from other writers. This will include components on Twitter, using the hashtag #PitchSlamWriters, as well as blog components on this blog and fellow member's blogs, and other online places which will have workshop components, provided free of charge. 3. To improve as a writer in time for the next Pitch Slam event. Now that I've given the background to how this group came into being, I will explain who can join. But first, an important clarification: Joining this group will not move you forward with your pitch or 250 to the agent round, nor will it give you preferential treatment in future Pitch Slam contests. However, I hope your participation will help you to improve yourself as a writer, and therefore, improve your chances in future contests, including Pitch Slam. This group is primarily intended to be for those who submitted to Pitch Slam. Whether members went all the way to the final agent round and earned requests, or dropped out anywhere along the way, this group is for you. How to Join Pitch Slam Writers (Step 1): Comment on this post and give me your Twitter name, for example, mine is @gdcribbs. Simply request via tweet or comment below that you'd like to join and you're in. I will add you to the group, and you can go to the link to subscribe. Once you've subscribed, you can go to the hashtag and tweet the link to your blog for others to see and follow. Step 3: Come back to the thread whenever is most convenient for you. Catch up to posts/tweets you missed, and/or blog posts for what we're doing to learn/improve our craft. If you have suggestions, please tweet or message me g.donaldcribbs(at)yahoo(dot)com. Please include PitchSlamWriters in the subject. Monday: Most Helpful Monday. Tweet links to your favorite writer/writing goodies. This could be a blog, a video, a free online resource for writers, etc. Tuesday: Tips/Take Away Tuesday. Writing Tips, advice, or things to take away from the experience of Pitch Slam. My first suggestion is to read all 60 submissions that caught the eye of the Managers/Talent Scouts, and see what they did that worked. Comment on these in the thread. It's like a free, online writer's conference and you can learn from it, if you approach it that way. Wednesday: Writing Prompts Wednesday. A short writing prompt posted in the hashtag for you to sharpen your skills, and get something written for the day. If you have suggestions for upcoming Wednesdays, please share them with me. Thursday: Things to Improve Thursday. What do you struggle with as a writer? Are you great at outlining/plotting, but terrible at motivation? Are you great and words, but terrible at revising? How's your query/synopsis, tagline, prompt, etc.? This is where we get down and dirty and hone our skills. Make sure you've got your big boy/girl underpants on. You are free to join or end your membership at any time, but you will get a greater benefit out of participating and continuing to participate in future tasks and assignments. The more you put in, the more you'll get out. There will be no cost for participation. This includes components which will feel very much like a writer's workshop, but will be provided to members free of charge. Who will be providing these services to you? Myself and my critique partner, Lydia Sharp. You can follow her on Twitter or her blog, The Sharp Angle. This could include others if I can find others who wish to join me in this endeavor. My next blog will be to introduce myself and Lydia Sharp, and a bit about our writing credentials and experience. Other members will be invited to write your own introductions and post those on your blog. Feel free to use the logo above to help other members find PSW posts in your blogs, and stay connected. It is my hope that we will blog hop and comment on all members' blog posts, particularly when we are sharing our own writing. Now for some exciting teasers of what's to come: Lydia and I have agreed to collaborate our efforts and share our love of writing and the craft of writing by workshopping with you to help us improve as writers (teaching is the highest level of learning, so YOU are making US better writers), and hopefully we are helping you improve by sharing/studying what we've learned along the way. You will have opportunity to share what you've learned, too, so we can all share the love. Coming up, we will be assigning you the task to post your writing so we can blog hop and critique one another, and you can follow up by posting your revisions. This will include loglines, pitches, queries, and excerpts from your writing. Lydia has graciously offered to share from her Push, Pull, Lock Online Writing Seminar (I attended and it was fabulous! ), and her online Story Structure Series on turning points to help you make sure your manuscript follows a clear path from start to finish. I've got a few bonus things to add to that, and hopefully we all will enjoy these tasks as we move forward. If you're looking for a group like this, I hope you'll consider joining. Not all of us have the benefit of a local writer's group, so consider this an online group you can attend in your pajamas, without embarrassment. If I've failed to answer any burning questions, please comment below and I'll clarify. Otherwise, I hope you like what you've read, and let's get writing! P.S. If you've followed my blog, please note that while I will have blog posts about Pitch Slam Writers, I will continue to blog about books, book reviews, giveaways, author interviews, and the writing process. Of course, if I have news about my books, I'll share that here as well. I'm excited about this new opportunity to grow as a writer myself, and I hope to see you all in the #PitchSlamWriters thread. By 'posting your writing', I'm guessing this means any MS, yes?